Sarah Warburton—author of ONCE TWO SISTERS (featured in Embark, January 2019)—has had a short story called “Survival English” accepted for publication in the August 2019 issue of Oyster River Pages. Congratulations, Sarah! 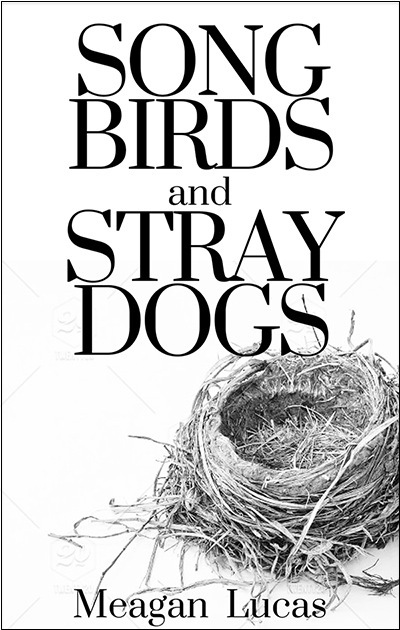 Meagan Lucas’s novel Song Birds and Stray Dogs—featured in Embark, July 2018—is being published by Main Street Rag in August and is now in pre-sales. You can order a discounted copy here. Congratulations, Meagan! Janet Garber—author of THE PARIS NOVEL (featured in Embark, July 2018)—has had an essay published in The New York Times called “Filling in the Blanks.” Congratulations, Janet! Emily Wortman-Wunder—author of TERRAIN VAGUE (featured in Embark, April 2018)—has work coming out soon in The Kenyon Review Online and Creative Nonfiction. In addition, her collection of short stories, Not a Thing to Comfort You, won the Iowa Short Fiction Award and will be coming out in the Fall of 2019. Wonderful news, Emily! Robert Garner McBrearty—author of THE WILD CHILD (featured in Embark, April 2019)—has had a story called “In the Bar” read on stage by actor Brad Leland (whose film and TV credits include Friday Night Lights and Deepwater Horizon) at the Arts & Letters Live “Texas Bound” show at the Dallas Museum of Art on April 1, 2019. In addition, his short story “Sarge and Hollings” appears in the new issue of Witness. Congratulations on both accomplishments, Robert! Sharon LaCour—author of DOLORES COUVILLON (featured in Embark, April 2018)—has had a story called “Sugar Cane” accepted for publication by Propertius Press in an anthology to come out in June. Congratulations, Sharon! Salvatore Difalco’s new collection of short fiction, Minotaur and Other Stories, published by Truth Serum Press, is due out on May 3 and includes a version of the opening of ENTER NIGHT, which was featured in Embark, January 2019. Congratulations, Salvatore! Judith Haran—author of THE ICE-MAKER’S DAUGHTER (featured in Embark, July 2017)—has had a story called “Forbidden Elegy” published in Persimmon Tree. Congratulations, Judith! Janet Garber—author of THE PARIS NOVEL (featured in Embark, July 2018)—has had several stories published recently: “The Flap of a Single Wing” was Story of the Week (for February 12) in The TulipTree Review; “Memory Box” appears in the latest issue of The Neworld Review; and finally “O’ Brave New World” can be found in The RavensPerch. Congratulations on all of these achievements, Janet! Grace Marcus—author of VISIBLE SIGNS (featured in Embark, January 2019)—has had a short story called “Grove of the Patriarchs” published in Me First Magazine. Congratulations, Grace! Ross West—author of THE iCON (featured in Embark, October 2018)—has had a short story called “A Leader of Men” published in Issue 47 of Spank the Carp. Congratulations, Ross! Mahmud Rahman—author of THE FICTION FACTORY (featured in Embark, October 2017)—has had a short story called “Dear Honourable Commissioner” published in Himal Southasian; the story focuses on a regulation imposed by the Dhaka Metropolitan Police requiring screenwriters to seek permission before depicting police characters. In addition, Mahmud’s personal essay “Crossing Borders, Mapping Tongues,” about his journey through languages, writing, and translation, has been featured in Papercuts, a publication of Desi Writers’ Lounge. Congratulations on both of these achievements, Mahmud! Dina Greenberg—author of NERMINA’S CHANCE (featured in Embark, January 2019)—has had a prose poem called “Boy, Bearing” published in the Fall/Winter 2018 issue of the Medical Literary Messenger (Virginia Commonwealth University). Her creative non-fiction piece “Once, I Used to Care About Lost Boys” will appear in the Spring 2019 Issue of Pembroke Magazine. Finally, her prose poem “Rooftop Stigmata” will appear in the Spring 2019 issue of Split Rock Review. Congratulations on all these accomplishments, Dina! Jeffrey Perso’s novel Water Bodies (featured in Embark, July 2017) is being published by Black Rose Writing and will be released on March 7. Copies are available for pre-order through the publisher and on Amazon. Wonderful news, Jeffrey! Mary Portser has signed with literary agent Chris Kepner of The Kepner Agency, who contacted her after reading the opening of her novel Squawk in the April 2018 issue of Embark. Congratulations to both Mary and Chris on this excellent news! Bill Mesce’s novel MEDIAN GRAY (featured in Embark, July 2017) has been named a quarterfinalist in the ScreenCraft Cinematic Book Competition. In addition, the Nov/Dec 2018 issue of Ragazine published his essay “The Magician’s Trick,” on John LeCarré and Sebastian Junger. The anthology Gateways: A Collection of New Writing from Alumni of the Fairleigh Dickinson University MFA in Creative Writing came out in December and included an excerpt from Bill’s 2015 novel A Cold and Distant Place. The anthology Triumph: Stories of Victories Great and Small comes out this month and includes Bill’s short story “Ante Meridiem.” Finally, his short story “10-11” will appear this spring on The Broken Plate. Congratulations on all this good news, Bill! Derek Heckman—author of A BEGINNER’S GUIDE TO COMING BACK FROM THE DEAD (featured in Embark, July 2017)—has had a story entitled “Eight Tips for Living with the Monster Under Your Bed” published by Wigleaf. Congratulations, Derek! Andrea Caswell—author of ESCAPE FROM PROVIDENCE (featured in Embark, October 2018)—had a short story called “The House on Hemlock Lane” published in Issue 35.2 of Louisiana Literature in November 2018. Congratulations, Andrea! Judith Haran—author of THE ICE-MAKER’S DAUGHTER (featured in Embark, July 2017)—has had an essay called “De-composure: A Meditation on Burial” published by The Dark Mountain Project. Congratulations, Judith! Meagan Lucas has sold her novel Song Birds and Stray Dogs (featured in Embark, July 2018) to the Main Street Rag Publishing Company, which will publish the book this coming Spring. In addition, her short story “Voluntary Action” was chosen by Wiley Cash as a Judges Choice finalist in the 2018 fiction competition hosted by Still: The Journal and was published in their 28th issue. Wonderful news on both counts, Meagan! Jo-Anne Rosen—author of A MAP OF THE MIND (featured in Embark, July 2017)—had a story called “Family Again” published in the Amsterdam Quarterly in September. In December, her story “Crossing Borders” will be published in the Winter 2018 issue of the Valparaiso Fiction Review. Congratulations, Jo-Anne! Sarah Pascarella—author of BENEFICIARIES (featured in Embark, October 2017—has had a short story called “Patty” published in the journal Booth. The story is an excerpt from a graphic novel that she is collaborating on with her uncle, Rick Stromoski. Congratulations, Sarah! Emily Wortman-Wunder—author of TERRAIN VAGUE (featured in Embark, April 2018)—wrote a story called “Endangered Fish of the Colorado River” that has won the Conium Review’s Innovative Short Fiction Contest. It will be published in Volume 7 of the Review. She has also had essays accepted by the Cold Mountain Review and the Kenyon Review Online. Congratulations, Emily! Siân Griffiths—author of SCRAPPLE (featured in Embark, January 2018)—has had a collection of short fiction entitled The Drum, Like the Heart, Keeps Faulty Time selected for publication by Bull City Press. The volume will be forthcoming in Spring 2020. Her essay “The Gun That Won the West” is featured in the current issue of Prairie Schooner. Lastly, one of her flash fictions, “Everyone Fails,” is forthcoming in Lost Balloon and will be released on October 24. Congratulations on all this good news, Siân! Dallas Woodburn—author of GHOST FINGERS (featured in Embark, January 2018)—signed earlier this year with literary agent Mark Gottlieb at Trident Media Group, who then sold her debut YA novel, The Best Week That Never Happened, to Month9Books! The novel is scheduled to be released in 2020. Congratulations on this wonderful news, Dallas! Bill Mesce—author of MEDIAN GRAY (featured in Embark, July 2017)—has sold a collection of his short works, Tides, to Unsolicited Press. It will be published next year. Congratulations, Bill! Jim Ross—author of COLDWATER REVENGE (featured in Embark, October 2017)—has just signed a contract with Regal House Publishing, which will be publishing his debut novel, a historical thriller titled Hunting Teddy Roosevelt. Congratulations on this achievement, Jim! Carl Wooton—author of JULES AND MATTHEW (featured in Embark, October 2018)—has had a busy year. In August, he self-published Harmony’s Song and Other Stories, a collection of previously published pieces, two of which were recognized among the 100 Best Stories in American Magazines at the time of their publication. He also had three short stories published: “Across the Bed” and “Status Update” in Blue Lake Review, and “A Boy in the Woods” in the Scribes Valley Publishing anthology of new fiction, Take a Mind Trip. This month, a second chapter from his novel, entitled “Something Awful,” was accepted for publication by 34th Parallel Magazine. You can find out more about all of his publications on his website, carlwooton.com. Congratulations on these many accomplishments, Carl! Sharon LaCour—author of DOLORES COUVILLON (featured in Embark, April 2018)—has had a story called “The Hermit Crab” published in the August 2018 issue of the Arkansas Review. Congratulations, Sharon! Janet Garber—author of THE PARIS NOVEL (featured in Embark, July 2018)—has had a comedic science-fiction story called “Shishkosh” published in Space Squid. Her essay on tackling New York Times crossword puzzles, “Puzzling,” will appear in the New York Times in March 2019. And her essay “Exiled in Paris” will appear in the Fall 2018 issue of Colere, a publication of Coe College. Congratulations, Janet! Judith Haran—author of THE ICE-MAKER’S DAUGHTER (featured in Embark, July 2017)—has had a scholarly article published in the Journal of Contemporary Archival Studies called “The Nuremberg Trials Project at Harvard Law School: Making History Accessible to All.” Congratulations, Judith! Jonathan Freeman-Coppadge has signed with literary agent Chris Kepner of The Kepner Agency, who will be representing Jonathan’s novel The World Is Mine (featured in Embark, April 2018). Chris first encountered Jonathan’s pitches in #DVpit and then read the first chapter in Embark before requesting the full manuscript and eventually making an offer. Congratulations to both Jonathan and Chris on this wonderful news! Bill Mesce—author of MEDIAN GRAY (featured in Embark, July 2017)—is in the process of signing with the academic publisher McFarland Books for a book celebrating the fiftieth anniversary of the release of Sam Peckinpah’s controversial Western The Wild Bunch. Bill’s novel Four Days to Trinity was published this month by Endeavour Press. He also recently signed with Unsolicited Press for Collected Works by the late playwright, poet, and fiction writer Sean Michael Rice; the book will come out this September. Congratulations on all counts, Bill! T. M. De Vos—author of YEAR OF WOMEN (featured in Embark, October 2017)—has received the Paper Darts short fiction award, judged by the writer Carmen Maria Machado, for her story “The Wrong Sort of Woman.” She has also had a short story called “Blue Whale” published in Tinge Magazine and was a semifinalist in The Same’s fiction contest, with publication pending. Congratulations on these accomplishments, T. M.! Anna Scotti—author of L.A. WINTER (featured in Embark, January 2018)—has had a poem called “Tanager” reprinted recently in Lunch Ticket. A selection of her poems has been awarded an Honorable Mention by judge Patricia Smith for the Pablo Neruda prize; these poems will appear in the Fall 2018 issue of Nimrod International Journal. Anna’s unpublished collection, Bewildered by All This Broken Sky, was named a finalist for the 2018 Louise Bogan Award offered by Trio House Press. Two of her poems, originally published in The Comstock Review, appear currently at isacoustic*. Her poem “Then Fall Again” will appear in an upcoming issue of The New Yorker. Several of her stories will appear in Ellery Queen Mystery Magazine, beginning with the November/December issue, on sale in October. Congratulations on all this good news, Anna! P. K. Adams is releasing her historical novel The Greenest Branch this month! The opening of this novel, which is set in the 12th century and tells the story of Hildegard of Bingen, Germany’s first female physician, was featured in Embark in October 2017. Congratulations, P. K.! Derek Heckman—author of A BEGINNER’S GUIDE TO COMING BACK FROM THE DEAD (featured in Embark, July 2017)—has had a story called “On Ethics in Monster-Making” published by The Furious Gazelle. Congratulations, Derek! Judith Haran—author of THE ICE-MAKER’S DAUGHTER (featured in Embark, July 2017)—has written a blog post for Harvard Law School called “Voting with Your Feet? Better Check Protocol First,” an addendum to the HLS Scanning Nuremberg series. Congratulations, Judith! Jane Deon—author of FIERCE COUNTRY (featured in Embark, January 2018)—has had a story called “Goodbye July” published in the second issue of Manzano Mountain Review. Congratulations, Jane! Jo-Anne Rosen—author of A MAP OF THE MIND (featured in Embark, July 2017)—has had a story called “The Nymphs at the Vagabond Motel” published in the Poydras Review. Congratulations, Jo-Anne! Sandra Miller—author of THE JOURNEY ITSELF (featured in Embark, April 2018)—has had one of her blog posts, entitled “How Writing Fiction Can Free Physicians,” reposted on the popular medical-social site KevinMD.com. Congratulations, Sandra! William Reichard—author of SUN, MOON, STARS (featured in Embark, January 2018)—is having a book of poetry published by Brighthorse Books later in 2018. The collection, entitled The Night Horse: New and Selected Poems, will include selections from his first five books of poetry as well as new work. Congratulations, William! Peter Selgin—author of THE WATER MASTER (featured in Embark, April 2018)—has recently published a book on the art of writing first pages, entitled Your First Page (Serving House Books, 2017), which has also been the subject of a weekly column on the writer Jane Friedman’s website. It will certainly be of interest to novelists submitting to Embark! Kenneth Robbins—author of SKUNK: AN AMERICAN LIFE FROM CONCEPTION TO COMMENCEMENT (featured in Embark, April 2018)—will have his one-character play, The Audition, produced in London in July 2018. This will be the first time his play has been performed in the UK. Congratulations, Ken! Jeff Perso—author of WATER BODIES (featured in Embark, July 2017)—has had another chapter of that novel accepted by the Twisted Vine Literary Arts Journal. The chapter, entitled “Now, Lend Me Your Horse,” will appear in Twisted Vine‘s forthcoming issue. Congratulations, Jeff! Derek Heckman—author of A BEGINNER’S GUIDE TO COMING BACK FROM THE DEAD (featured in Embark, July 2017)—has had a story, titled “Accidents,” published in the latest issue of The Collapsar. Congratulations, Derek! Dallas Woodburn—author of GHOST FINGERS (featured in Embark, January 2018)—has won Yellow Flag Press’s Cypress & Pine Fiction Award for 2018 with her debut short-story collection, Woman, Running Late, in a Dress. The collection will be released in March. Congratulations, Dallas! Siân Griffiths—author of SCRAPPLE (featured in Embark, January 2018)—has a story called “Wooden Spoons” in the current Cincinnati Review, as well as an essay in the current Indiana Review. Congratulations on these accomplishments, Siân! Bill Mesce—author of MEDIAN GRAY (featured in Embark, July 2017)—recently signed with the UK e-publisher Endeavour Press for his novel Four Days to Trinity, a suspense thriller touching on themes of race, intolerance, and the cultural divide currently plaguing the U.S. Additionally, his short story “The Drowned Man” was just accepted by The Valparaiso Fiction Review for publication this summer. Congratulations, Bill! Mahmud Rahman has had a chapter of his novel THE FICTION FACTORY published at The Write Launch. The opening of this novel was featured in Embark in October 2017. Congratulations, Mahmud! Jo-Anne Rosen—author of A MAP OF THE MIND (featured in Embark, July 2017)—has had a story called “The Dude Who Stole Her New Shoes” published by the online literary magazine Five on the Fifth. Congratulations, Jo-Anne! Karla Stover has sold her book Wynters Way to BWL Publishing, Inc., a Canadian publishing house. The opening of this novel was featured in Embark in October 2017. Congratulations, Karla! Jeff Perso has been named a Finalist for the William Faulkner-William Wisdom Novel Prize, for his book WATER BODIES. The opening of this novel was featured in Embark in July 2017. Congratulations, Jeff! Madelyn Bennett Edwards has released her debut novel, Catfish, about a young girl growing up in Louisiana in the 1960s. The opening of this novel was featured in Embark in October 2017, and you can find out more about where to buy the book on Madelyn’s website. Congratulations, Maddy! Bill Mesce—author of MEDIAN GRAY (featured in Embark, July 2017)—has recently had two books published: a novel, Legacy, released by Impress Books, and a nonfiction book called The Rules of Screenwriting and Why You Should Break Them (McFarland). Next month, the online literary magazine Ovunque Siamo, which publishes fiction and essays relevant to the Italian/American, will be running his short story “Furlough, November 1944.” Lastly, the site Shore Scripts, dedicated to the craft of screenwriting, has run three of his essays. Congratulations on all of these accomplishments, Bill!